Ridgway Powdered Metals, Inc. is a true pioneer in this industry having aggressively invested in the technology and equipment which allows it to take full advantage of its many benefits. 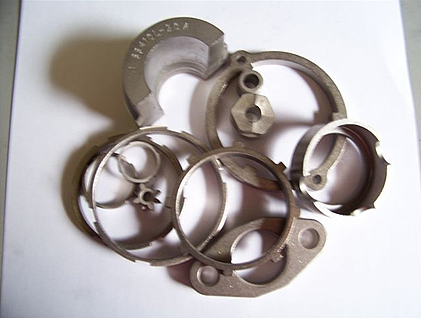 Permits a wide variety of alloy systems – some brand-new, others RPM proprietary grades – for customers' items. Ancillary deburring, impregnation and other secondary apparatus are on hand and available for customers' critical applications. RPM manufactures parts measuring from 0.06"to 4.0" long with diameters from 0.25" to 6.0" and weights from a few grams up to 8 lbs. 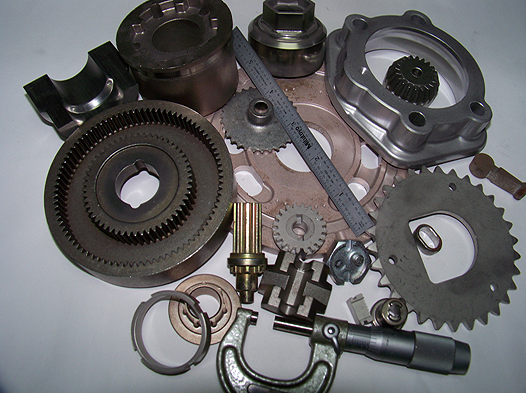 Production rates are rapid at RPM, and dimensional integrity is maintained from part to part, order to order. Applications are almost limitless, and prices are very reasonable. Contact Us today to learn how our custom powder components can provide a cost effective option for your next project. Select the stainless grade that will satisfy your requirements for corrosion resistance, ductility, machinability, etc. 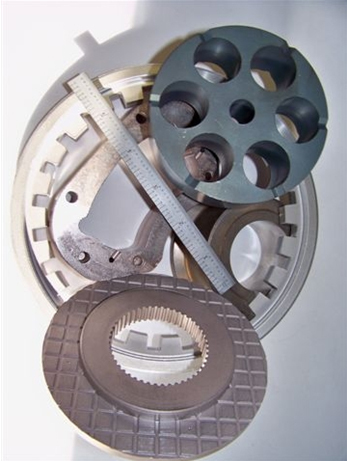 Below are shown the typical tolerances for PM parts having uniform cross-sections. Some dimensional and feature tolerances may be reduced with secondary machining and grinding operations. Discuss those possibilities with RPM Engineering. Exercise apparatus, cutter blades, gas filters, weapons, munitions, etc., etc., etc. Many features that are found on parts made with other metal working techniques are there due to how they were built. PM usually can eliminate them. 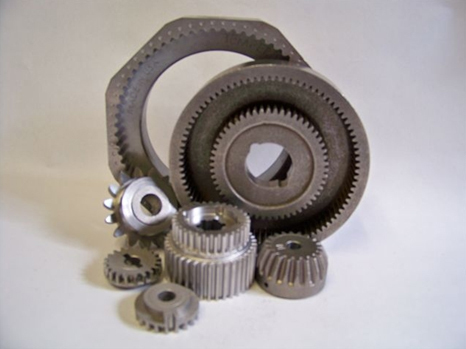 PM parts can be produced with great geometric complexities. There are feature considerations, somewhat unique with PM, that should be avoided. Some are listed below. Features that require very delicate tools to compact – due to the very high compressive forces needed to compact metal powders. Small projections on top faces of parts need to be large enough to allow for tool safety, ease of ejection, and be located inboard from outside edges of parts. It is always good practice to discuss your parts – those having questionable features – with RPM Engineering. Virtually any feature that would create problems or be impossible to compact with hard compacting tooling can be added using machining operations. Whenever a part can be modified to eliminate the additional secondary operations its price will obviously be more advantageous.